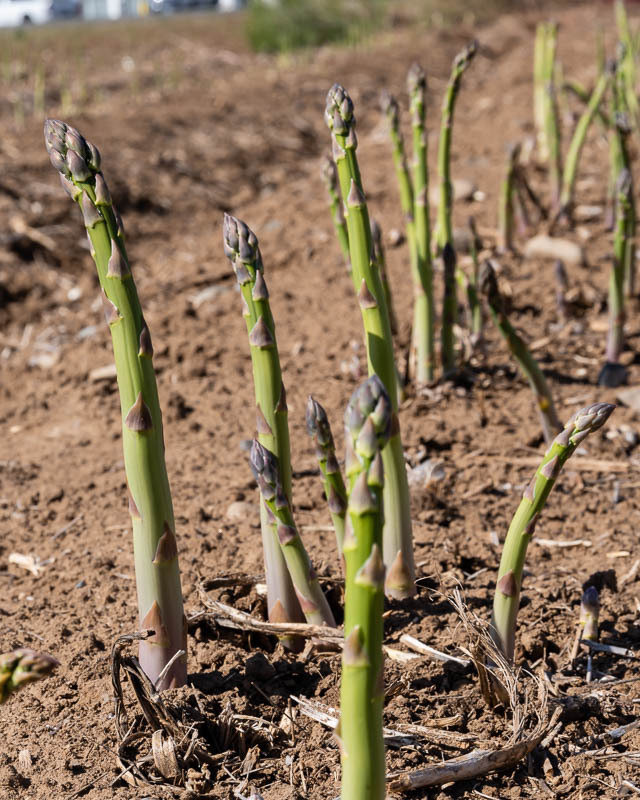 Asparagus is popping up out of the ground all over Oregon. 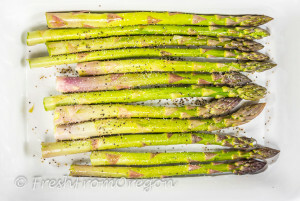 This tells me that spring has started here in Oregon. 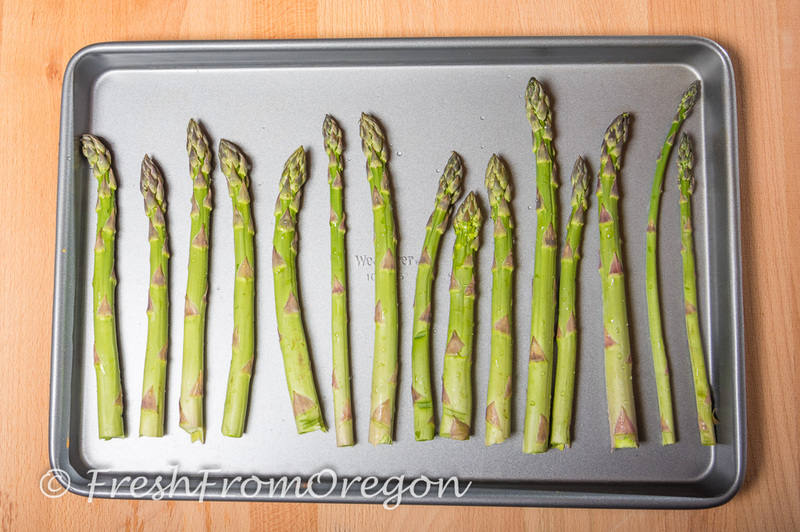 My favorite way to prepare asparagus is to roast it in the oven, it takes just 5 minutes. 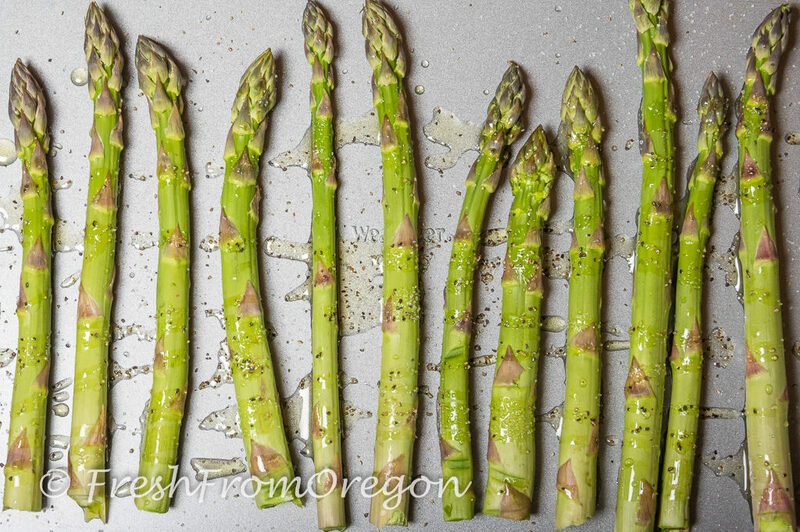 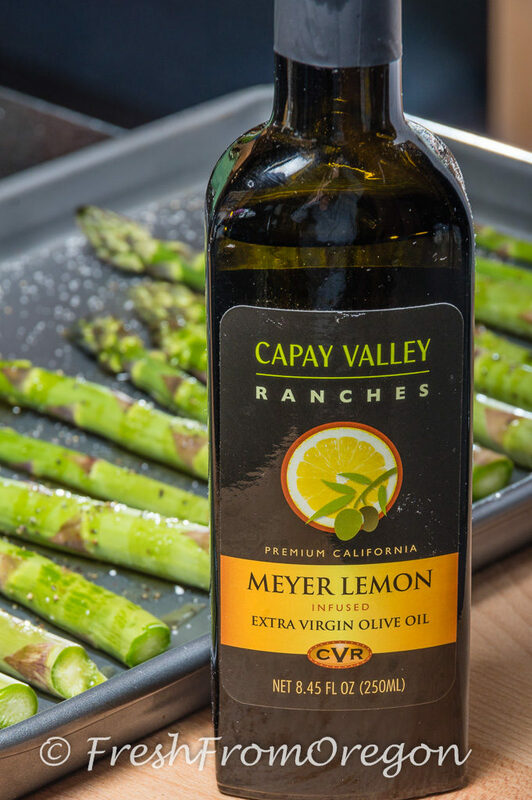 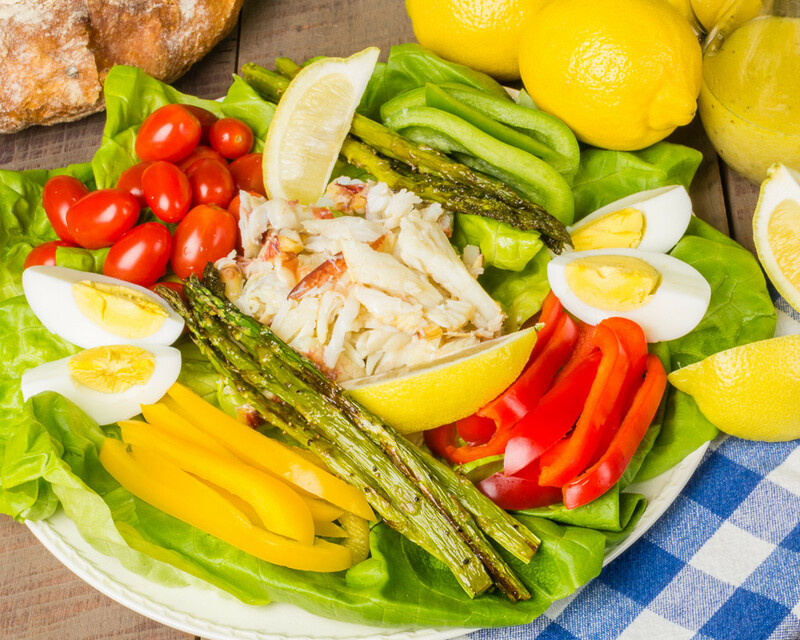 You can also grill, steam or boil asparagus to make endless dishes. 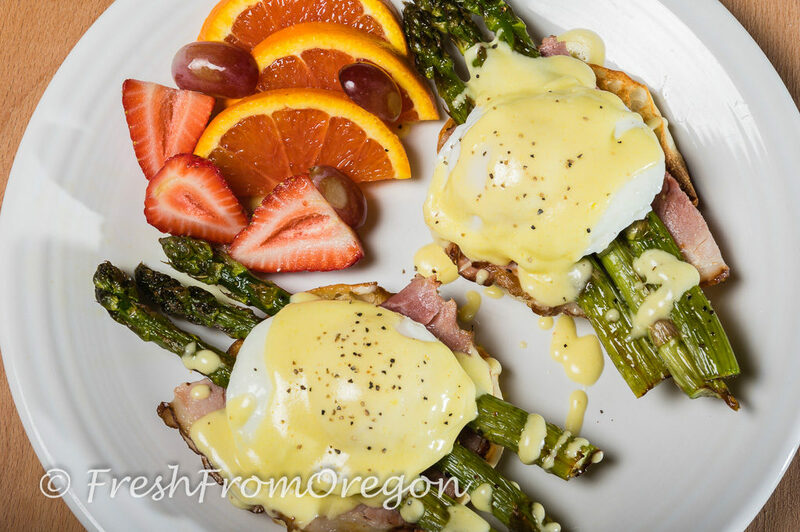 For breakfast I enjoy it in omelets, quiche and served with Eggs Benedict. 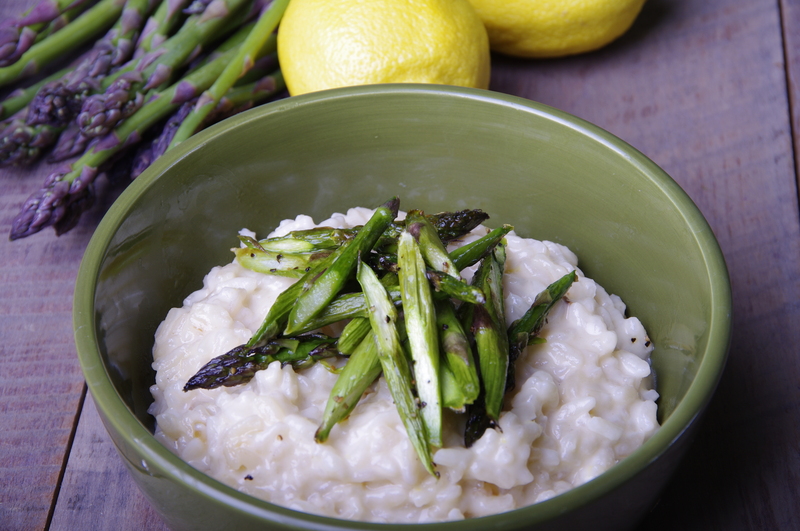 Grilled asparagus is great tossed in your favorite pasta dish or to make a creamy soup. 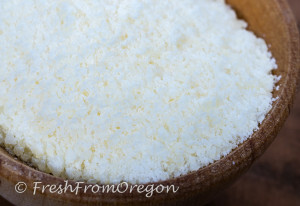 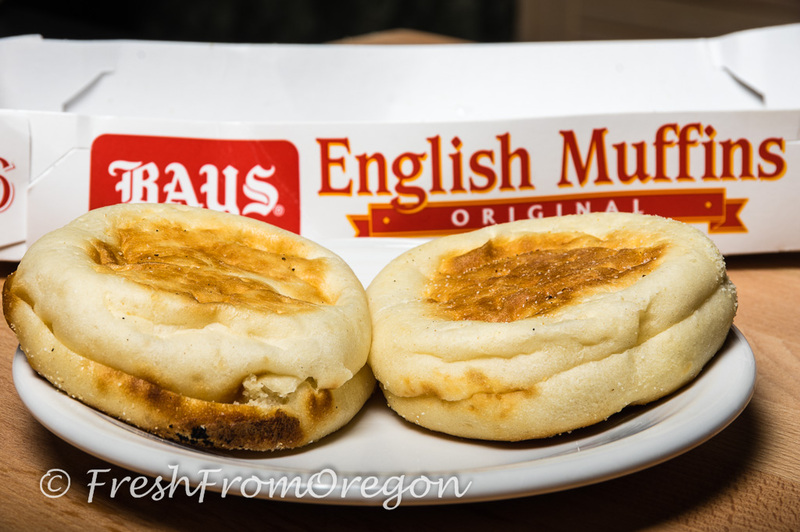 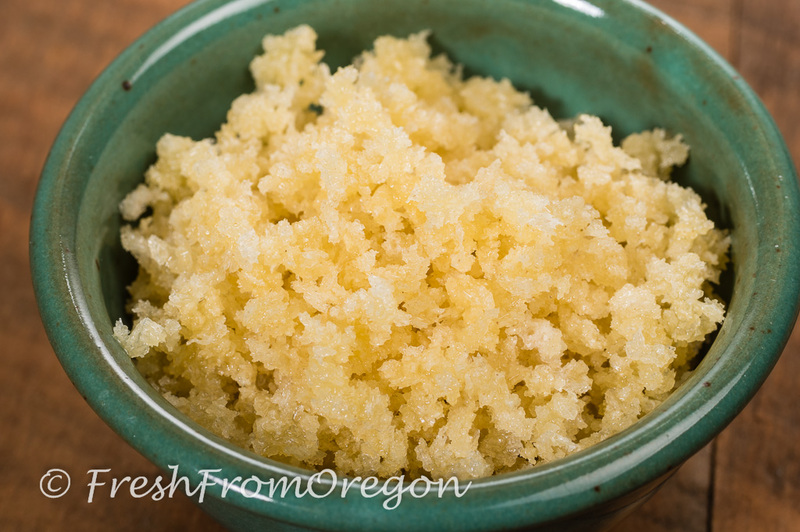 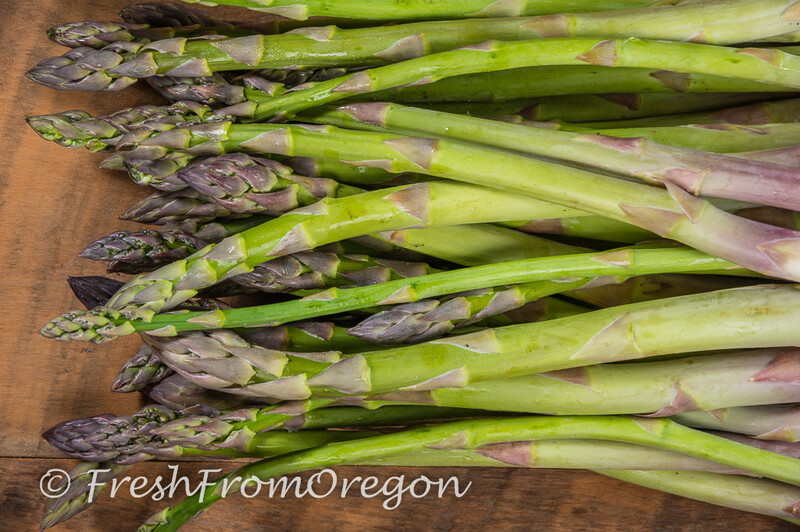 However you like it, enjoy it Fresh From Oregon. 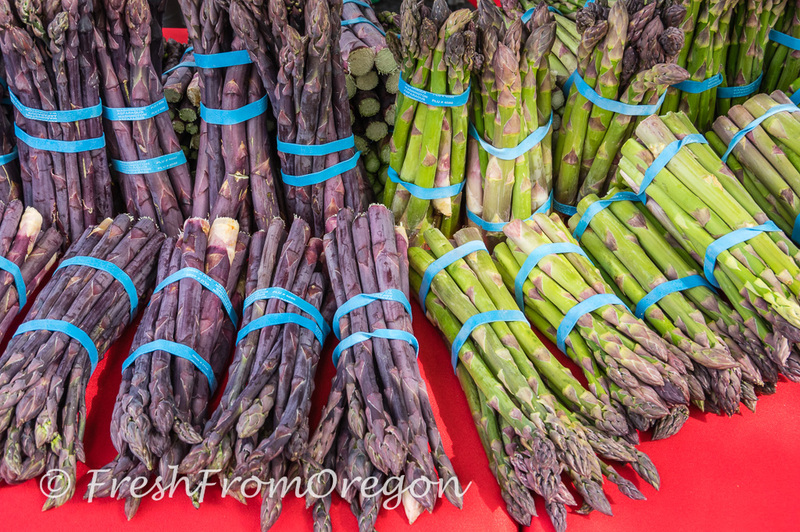 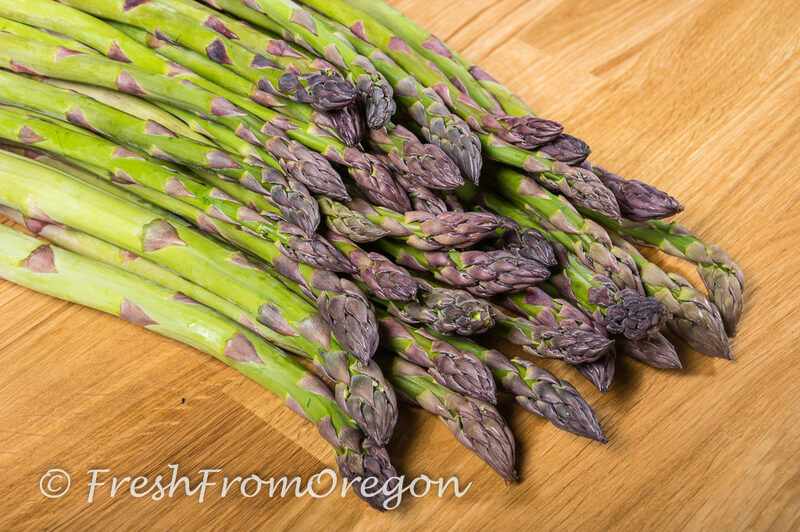 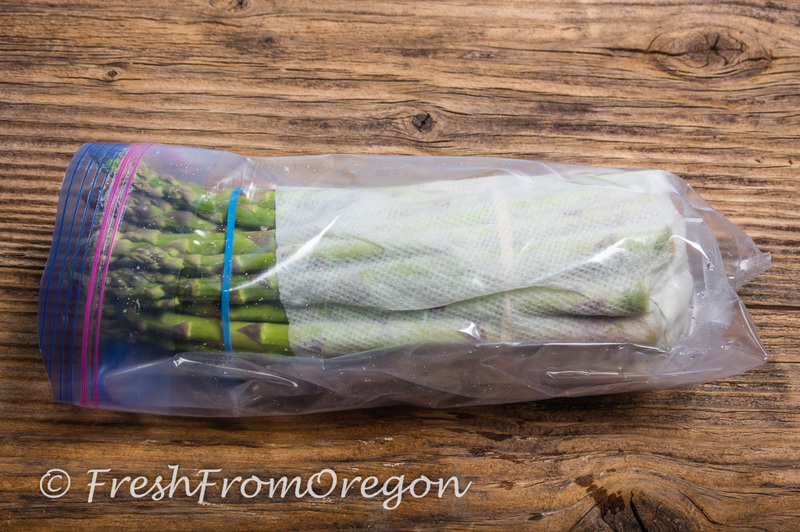 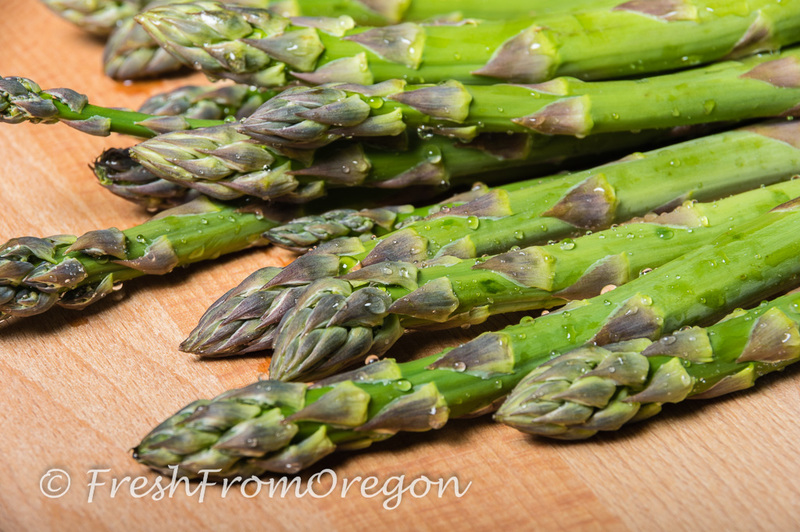 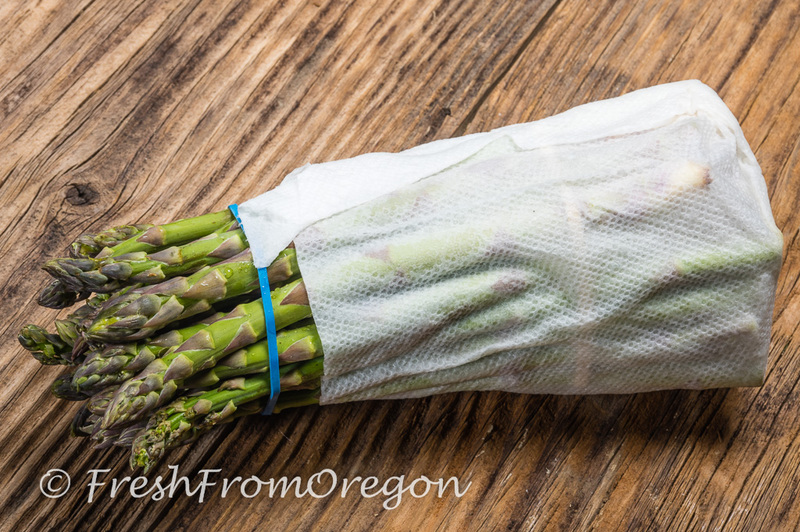 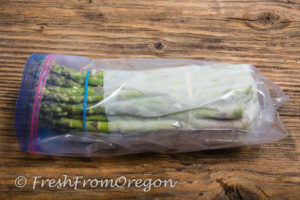 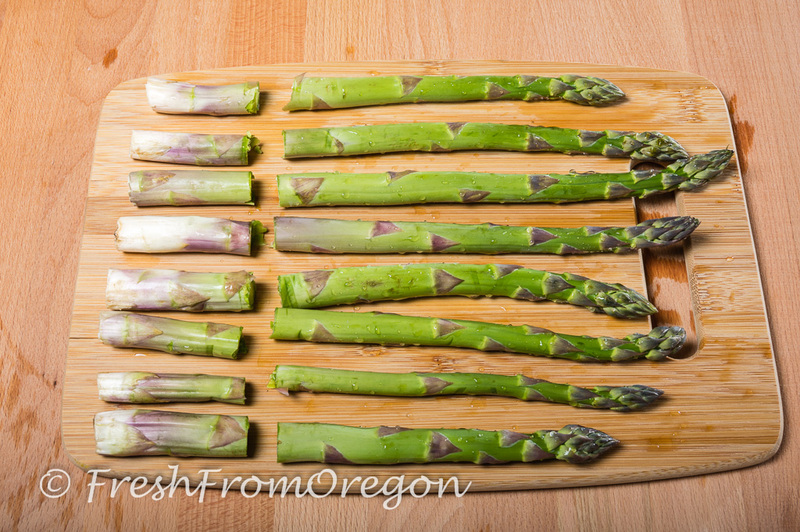 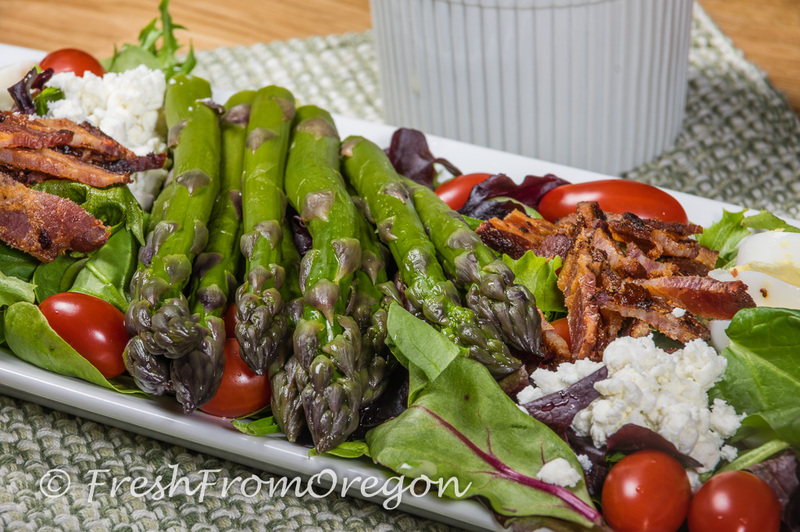 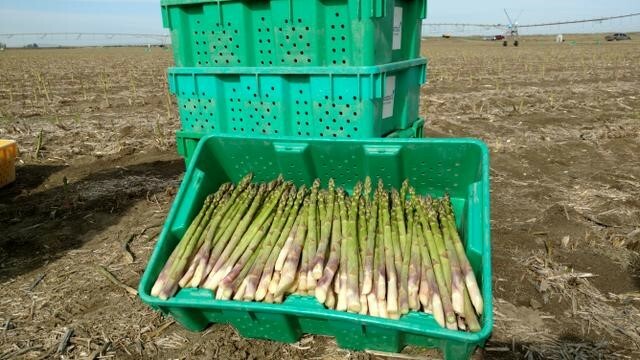 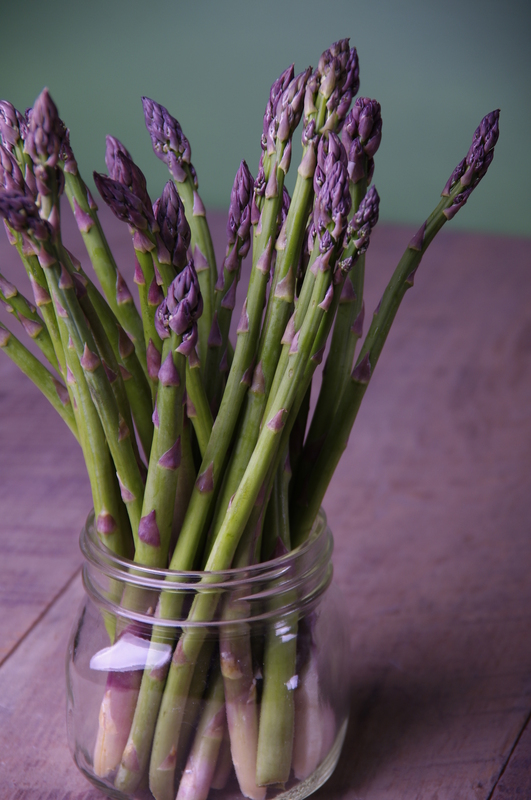 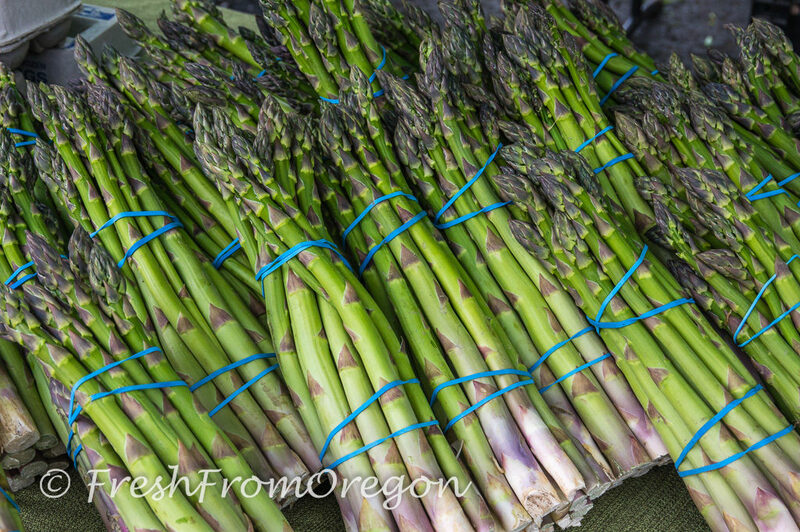 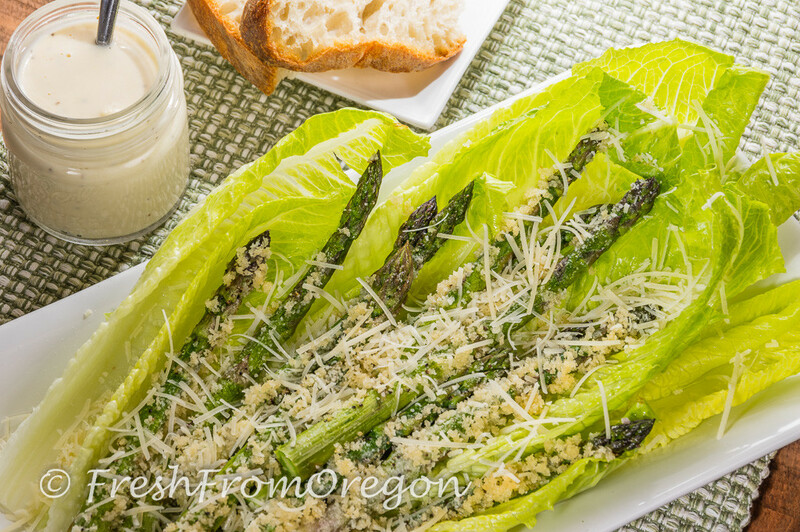 Fresh From Oregon Asparagus is in season April through June. 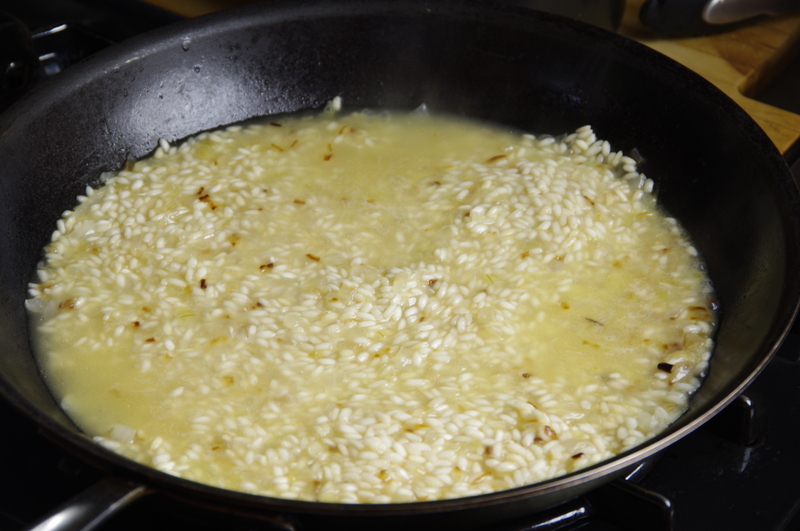 In saucepan combine the chicken broth and water to a boil, reduce heat to a low simmer. Melt 2 tablespoons butter in large skillet on medium heat, add onions and saute until tender, about 5 minutes. 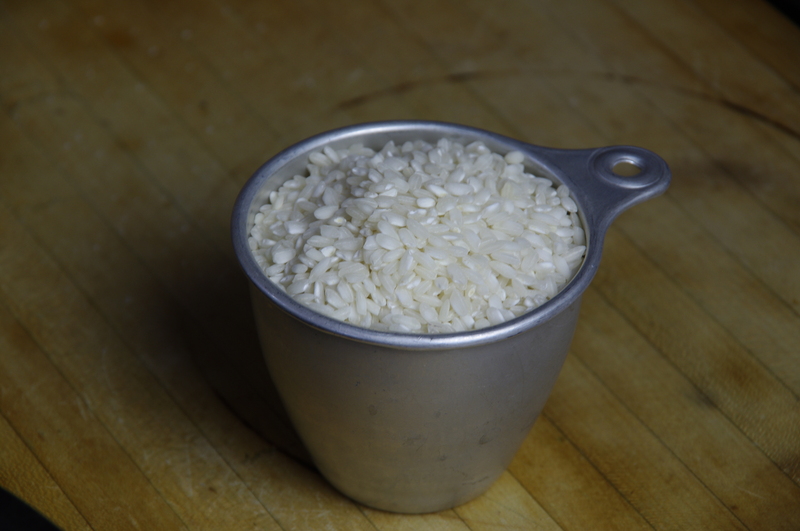 Add the rice and saute 2 to 3 minutes to lightly toast. Add the wine and cook, stirring constantly, until it is absorbed. 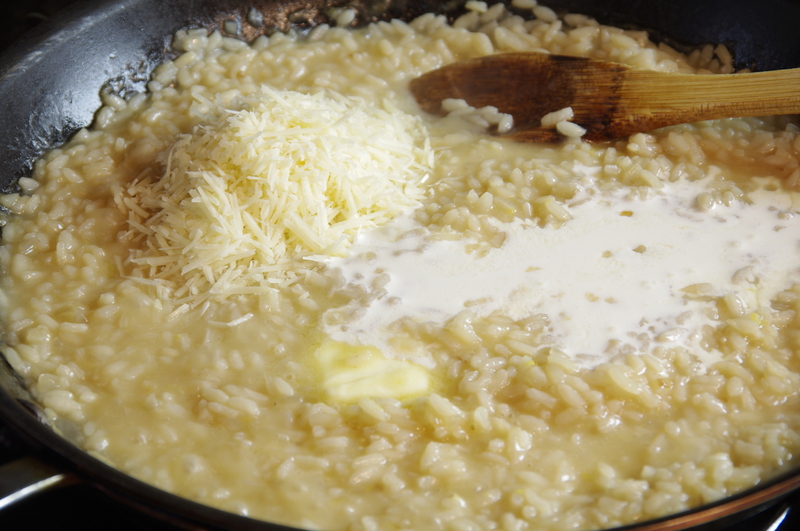 Add 1 cup of the hot broth mixture, stirring often until liquid is absorbed. Add another cup of broth mixture and repeat until all the broth is gone. 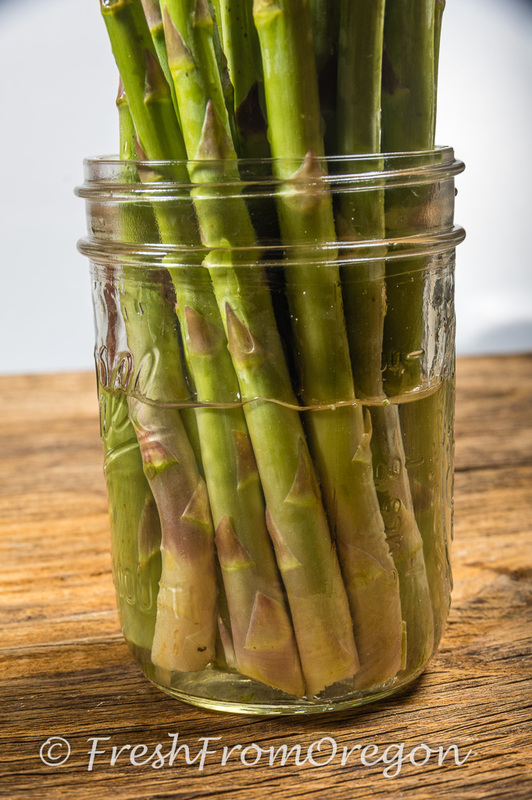 This should take 25-30 minutes. 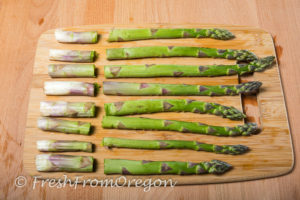 You should be stirring often to keep from sticking to the bottom of the skillet. 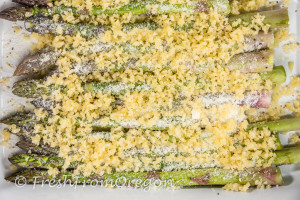 Once all the broth mixture has been added and liquid absorbed add the remaining 2 tablespoons butter, heavy cream, Parmesan cheese, salt, pepper and lemon zest & juice. 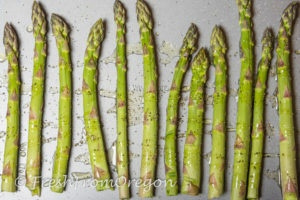 Cook, stirring constantly, 2 minutes. 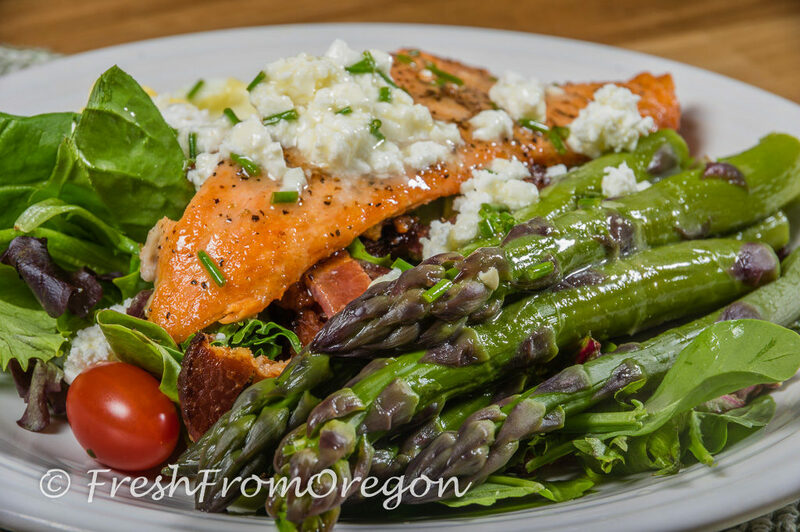 It is ready to serve. 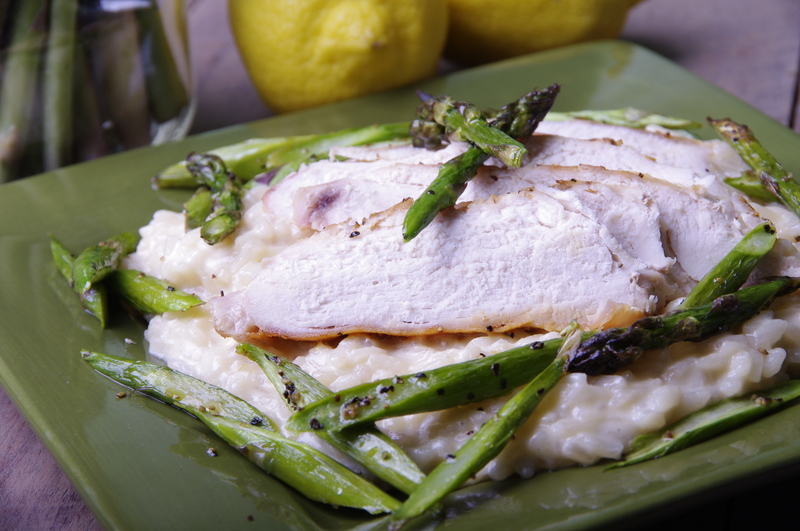 Place risotto on plate and place some sliced chicken and asparagus on top. 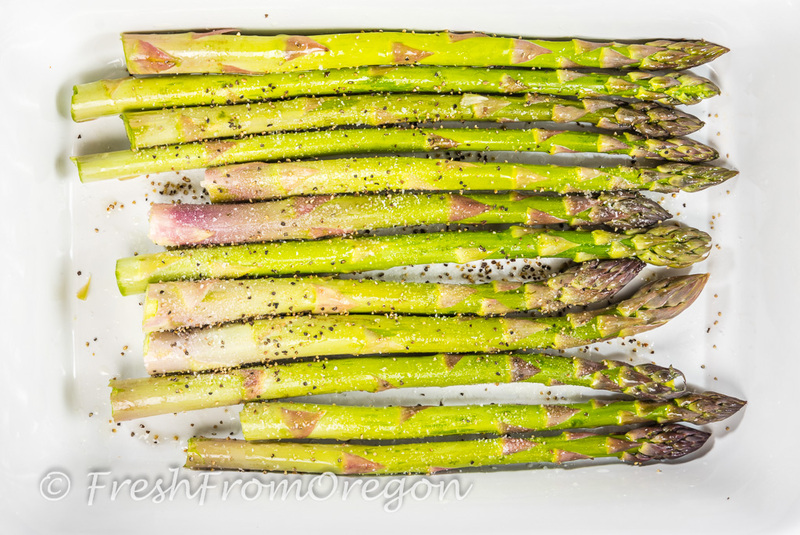 To roast the asparagus toss pieces with 1 tablespoon olive oil and season with salt and pepper. 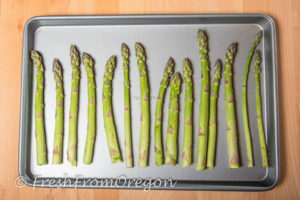 Place on baking sheet in a 400 degree oven for 5 minutes. 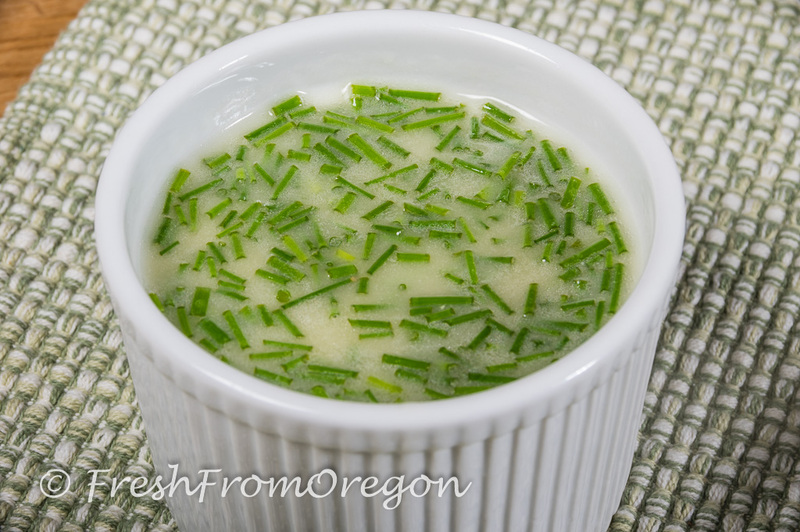 If you want to make a vegetarian version use vegetable broth in place of the chicken broth.